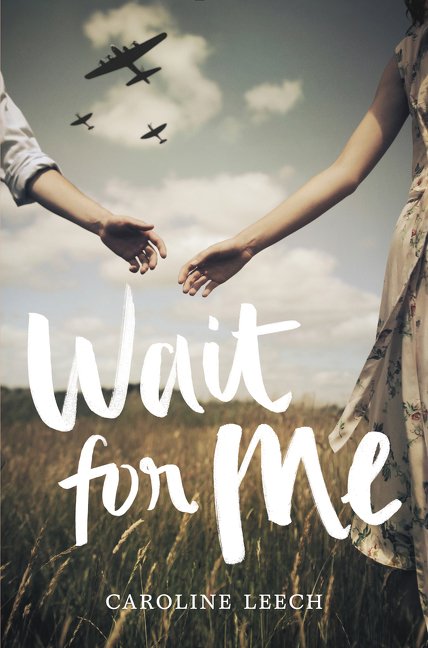 Scottish writer Caroline Leech pens a debut young adult love story in Wait for Me, set in the countryside of Scotland during World War II. It’s 1945, and 17-year-old Lorna Anderson’s daily life consists of farming, going to school, knitting Red Cross scarves and praying every day for an Allied victory. When Paul Vogel, a German prisoner of war is sent to help her father with the farm, Lorna is repulsed and angry. But as she gets to know the boy behind the soldier—including learning the backstory to the horrible injury on his face—Lorna finds herself conflicted over what society expects of her, and her own heart. The premise of this story had a lot of potential, but the pacing was a bit slow for me. The attraction between Lorna and Paul is almost immediate, but their romance stays innocent throughout the novel, consisting of a few kisses, hand-holding and minor flirtation. Nothing major happens between them until the last third of the book. Outside of the romance, there was minor characterization and plot development. Although the characters were likable, Leech does very little to help readers empathize with them. Lorna is the typical storybook heroine: hardworking, brave and kind. It was a pleasure to see her mature—if only slightly. She realizes that war is not always black and white, and the horrors her brothers experienced in the trenches can be matched by Paul’s own experiences fighting on the side of the Germans. Leech does add in a few other storylines involving Lorna’s friends, father and older brothers, but they lacked substance. Despite a few conflicts with villagers who were prejudiced against Paul, and an unexpected aerial bomb on the farm, the stakes were not high or realistic enough to hold my interest. This book is perfect for middle-grade/the younger range of YA readers who enjoy slow romances, female friendships and whimsical historical fiction. It’s similar to Michael Morpurgo’s An Elephant in the Garden, which features a young German girl and Canadian navigator who cross paths after the bombing of Dresden in World War II. Like Wait for Me, this book illustrates the importance of love, forgiveness and hope, but with slightly more nuanced characters.